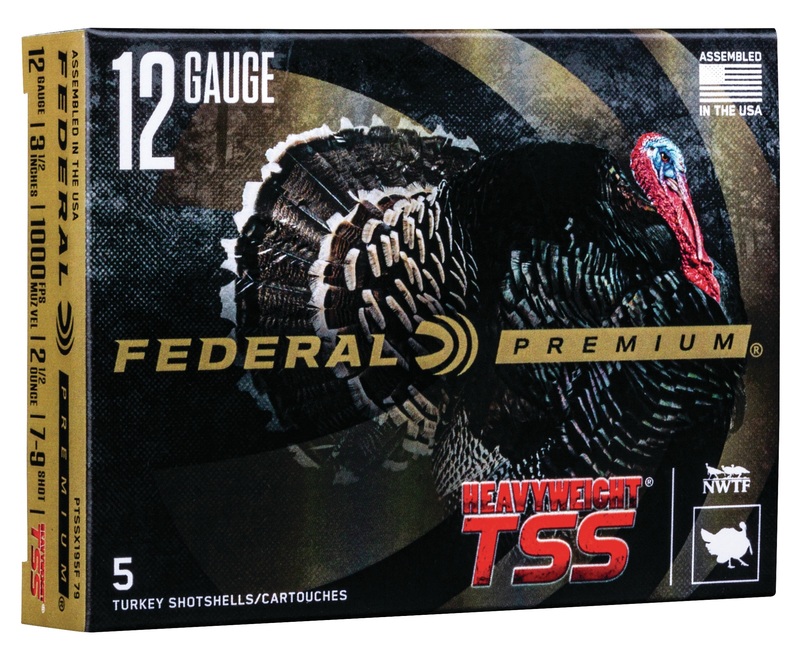 ANOKA, Minnesota - January 16, 2019 - Federal, the only licensed ammunition partner of the National Wild Turkey Federation (NWTF), has expanded its HEAVYWEIGHT TSS lineup by adding loads with two sizes of shot to increase overall pellet count and number of hits on target. These new loads will be on display during the 2019 SHOT Show (Booth No. 14551), January 22-25 at the Sands Expo Center in Las Vegas, Nevada. The offerings combine No. 7 and 9, or No. 8 and 10, Tungsten Super Shot to deliver the extremely high pellet counts and dense patterns turkey hunters are constantly striving to achieve. In fact, some of the payloads top 1,000 pellets. 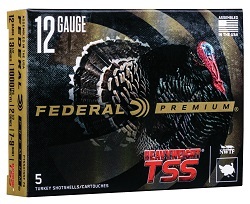 Federal is adding two new 12-gauge, 3 ½-inch TSS blended options: a 2 ½-ounce No. 7/9 mix and a 2 ½-ounce No. 8/10 mix, each at an MSRP of $63.95. New 20-gauge offerings include two 3-inch loads: a 1 5/8-ounce No. 7/9 mix and a 1 5/8-ounce No. 8/10 mix at an MSRP of $46.95. The shells come in five-count packs. With wild turkey population numbers in great shape throughout much of the country, hunters anticipate a memorable 2019 season. Now, they can go afield knowing Federal Premium’s new turkey loads will not only deliver consistent, devastating performance, but also help turkeys themselves through partnership with the NWTF. For more information on Federal ammunition, visit www.federalpremium.com.